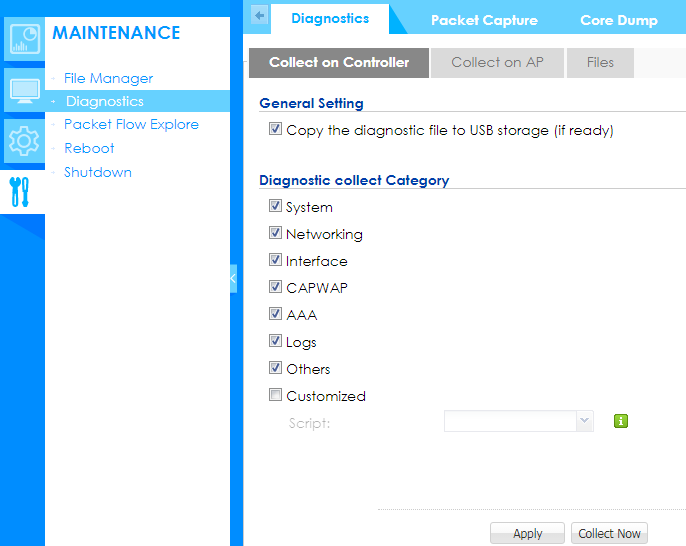 Discussion How to collect the controller/ AP diagnostic info by GUI? If you have the issue and don't know how to troubleshooting, the controller provide the function for user to collect the info and log by one press button. Go to MAINTENANCE > Diagnostics > Diagnostic > Collect on Controller > Collect now. Due to the there are many logs will be collect, so need to wait some time. If the issue is related the wireless network, collect the AP logs is necessary. Select the issue AP and collect the log. 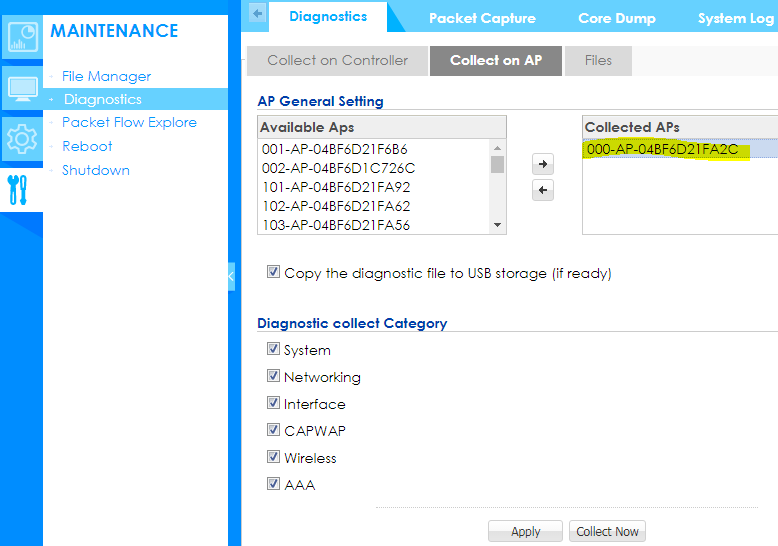 Go to MAINTENANCE > Diagnostics > Diagnostic > Collect on AP> Collect now.